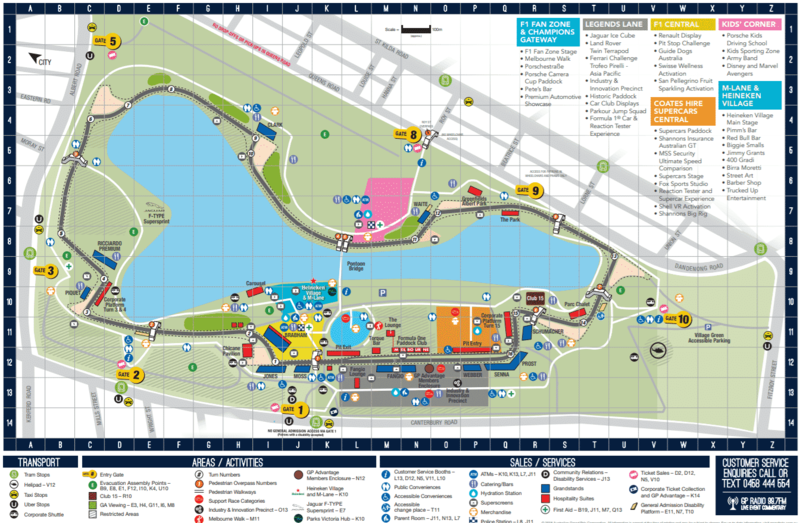 Of all of the events held in Melbourne, the Australian Grand Prix is one of the largest and most popular. 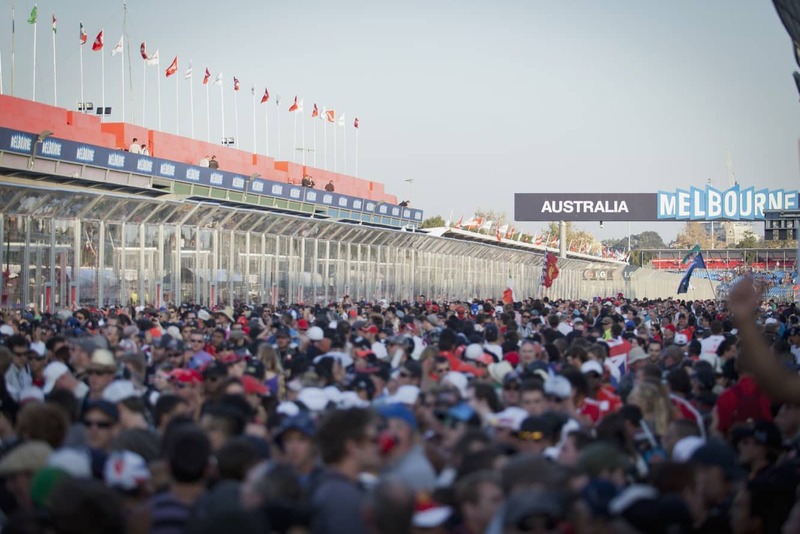 People from all over the world come here to watch the Grand Prix, with this event certainly increasing visitors to Melbourne and showcasing what the beautiful city has to offer. The Australian Grand Prix event is the premier motorsport event in Australia, welcoming many talented drivers from all over the world. World champions and many enthusiastic drivers come here to test their skills on the Melbourne Grand Prix Circuit. The final rounds of the championship are often the most popular; therefore, during the last days of the event, the crowds in Melbourne swell to tens of thousands. For this reason, visitors should book their flights & accommodation early to avoid disappointment. There is a huge range of special events scheduled throughout the Grand Prix including live music entertainment and kids activities. There will be a “Fan Zone” where you can get your merchandise signed by some of your favourite drivers and for kids, there is a special “Kids Corner”, where there will be inflatable play equipment and heaps of sporting activities for them to enjoy. Attendees will also be able to enjoy “M-Lane” where you can get together with your friends and enjoy the social offerings including food trucks, live music, street art and coffee bar. Each year, there are some fantastic musical performances scheduled throughout the event. Artists to be confirmed in early 2019. Children 14 years old and under can access General Admission areas for FREE provided they are accompanied by a paying Adult ticket holder. For children 14 years old and under, free tickets are only available at the gate. Catch public transport to Albert Park, as there are free trams for Grand Prix ticket holders which operate between the city and the circuit on all four days of the event. Click on the link below to book accommodation online for this hugely popular event today! Does anyone know the dates for the Melbourne Grand Prix for 2019 ? We have to book flights and accomodation and may miss out if we don’t know the dates in enough time to book. We will be travelling from Brisbane. No, we do not yet know the dates. Typically we will be waiting until around August for the dates to be confirmed. In some years, organisers haven’t had the dates locked in until two months before! Check back with us and I will update the page once the dates are announced. Do you know the dates for the 2019 Grand Prix? Hi, What is the 4 day program please? I have updated our page now that the schedule has been released, so you can find the dates and times here. Click on the images at the end of the post. Hi do you know the date of the 2018 grand prix? Coming over from UK for it for my boyfriends 50th but need date to start planning. No, unfortunately we wont have the dates until late this year. It is always held in March, and the last 5 years had it somewhere between the 15th and 20th of March. That said, the last two years has seen a change to the dates which caused some big headaches for those that booked early. However, it always is scheduled around this time. Unfortunately, you will need to check back with us and I will update our page as soon as any information regarding dates is made available. Hi Does anyone know if the actual main race starts at 1pm on the Sunday? Check back with us and I will update our page as new information comes to hand. Are we still waiting for confirmation for change of dates? Did book surprise for Christmas for the men in the family, its gonna cost a whole lot more now if this happens. Yes, the organisers still have that annoying little asterisk* next to their dates – currently 23-26 March 2017. Although the dates have changed once, I doubt they will change again. We will just have to wait and see. I will update our page with any updates as it comes to hand. I need written confirmation of the date changes for insurance purposes, can you send me an email stating that they have changed? I would appreciate your help. “PLEASE BE ADVISED, THE NEW DATES OF THE GRAND PRIX ARE 23-26 MARCH 2017”, does this mean the dates have been confirmed? As with all the questions above, do you have any idea when the confirmation from the FIA will be? already had flights and accom booked for the week before but dont want to rebook till sure. No I am waiting to hear as you are. Unfortunately the Grand Prix organisers are making it very hard for people to book flights and accommodation by dragging their feet. I am checking for updates daily and will update our page as soon as the dates are 100% confirmed. Check back with us. Hi Jess, there’s a lot of reports going round saying the Australian GP will be on 26 March but I see tickets have gone on sale for 19 March. Do you have any more info on exact dates please? Thanks! I am relying only one the official organisers for information as you are correct that there are a number of different dates being circulated. The best information I have is the tentative dates which are published on our site. These are of course subject to confirmation. Will update the page as soon as the dates are confirmed. Completely frustrating for everyone wanting to book! Any idea of when dates will be confirmed for 2017 or when were they confirmed last year? There was a huge debacle in 2016 surrounding the dates which may have affected the delay for 2017. Originally, the 2016 event had been planned April, but the organisers moved the dates forward by 2 weeks into March which caused massive disruptions to the plans of hundreds of thousands of businesses and individuals who were planning to attend the event in April. I therefore suspect that the organisers are being extra cautious for the 2017 event that all their ducks are in a row before confirming the dates. Check back with us as I am checking daily and will update the page as soon as dates are confirmed. What currency are ticket prices in? We are still waiting on the race program for 2017. However to give you some general guidance, in 2016 the race ran from 4pm to 6pm. Hope this assists you when booking your return flight. Just also remember that traffic will be a nightmare, so give yourself at least an hour to get to Tullamarine Airport from Albert Park. Have a great time at the Grand Prix! I want to buy just a Sunday ticket (1 day). When do these become available for purchase? And will you update this page when that happens? Still no news on when the dates will be confirmed (they are still only tentative at present) or when tickets go on sale. I have been keeping a close eye on this and will update our page as soon as there is any news. But if you want to be first to know, I suggest you subscribe to the F1 notifications here which will advise you as soon as tickets are on sale. Just curious, we are from South Australia and are excited to possibly come watch our 1st F1 race. Could we lock these dates in or when are they likely to be confirmed?. Worried about accommodation. Hi Colin, this is a popular question! The dates for the 2017 Australian Grand Prix are subject to FIA and FOM confirmation which is why we are waiting for confirmation. I will update the page once these dates are confirmed. As for accommodation, if you are keen to book with those tentative dates, you can always select a room which allows free cancellation or changes to your booking. I have attached a link here which will take you to the range of accommodation options available near Albert Park. When you input your dates, look to the “conditions” section in the blue boxes and select something that says “free cancellation.” Make sure to avoid the deals that say “no refunds”. This will enable you to book for these dates and make any changes if for some reason the event is moved (unlikely in my view). The dates are still yet to be confirmed, but I would expect that they will be within the next couple of weeks and tickets to go on sale. In previous years, you have been able to purchase single day tickets, I expect 2017 to be the same. Check back on our page in a couple of weeks and I will update when tickets go on sale. It safe to book accommodation and flights for those dates? Or should I wait for full confirmation? It is a matter for you. We use Booking.com for our booking site and many rooms have flexible conditions where you can change dates without penalty if needed. So if you want to start searching for accommodation, click the link here. Just make sure you book something that has a flexible cancellation/change policy and you should be fine. Just wondering if we can buy tickets on the race days at the gates, or how do we buy a pass? Tickets are not available as yet as the dates are still yet to be confirmed. In the past you have been able to purchase tickets at the gate, so I am sure it will be the same for next year. Check back with us as I will update the page once tickets go on sale. Tentative dates have been advised as 16-19 March (Thurs – Sun). Thanks for pointing out the error on our page. Hi there, do you know any dates yet as trying to book airfares. Thank you. The dates are yet to be confirmed officially, however tentative dates have been released on the State of Victoria website as 16 Mar 2017 (dates to be confirmed), 17 Mar 2017 (dates to be confirmed), 18 Mar 2017 (dates to be confirmed). If you are looking to browse cheap flights, I have attached a link for your assistance. Check back and I will update the page once dates have been confirmed. When will the dates of the 2017 Melbourne Grand Prix be announced? It looks like tentative dates have been set, but they are not set in stone as yet: 16 Mar 2017 (dates to be confirmed), 17 Mar 2017 (dates to be confirmed), 18 Mar 2017 (dates to be confirmed). I will update the page once the dates for 2017 have been confirmed.